One evening, Fayetteville native Lynne O’Quinn went to bed after a fulfilling and tiring two weeks of babysitting her two small grandchildren. “I told my husband, ‘Don’t wake me for anything! I’m so tired!’” she said. Little did she know, it wouldn’t be her husband to interrupt her sleep that night, but God. Lynne, a former songwriter and manager in the music industry, woke with a start at 2:00 a.m. “I went straight downstairs and sat at the kitchen table. I prayed. And I wrote. He gave me the words faster than I could write them,” she told. When Lynne finished, she had the manuscript of a book that she titled Sharing Jesus with Children Around the World. “Within one day, it was published. Within a week of being published, it was on every continent,” said Lynne. So far, the book has been distributed in more than 100 countries and translated into 53 languages. “We haven’t paid for a single translation. The translators found us,” she shared, in awe. The book became so popular so quickly that Lynne knew she “couldn’t keep taking money from people.” She heard God whisper, “his little ones.” With newfound purpose, she immediately applied for 501(c) 3 non-profit status with the IRS and His Little Ones Ministry was incorporated within six months. Since founding His Little Ones Ministry, Lynne has authored other books, even a secular children’s book inspired by her grandsons, The Legend of Shipwreck Cove. All proceeds from all book sales are used as printing funds for countries that want to distribute Sharing Jesus with Children Around the World, but can’t afford to print it. 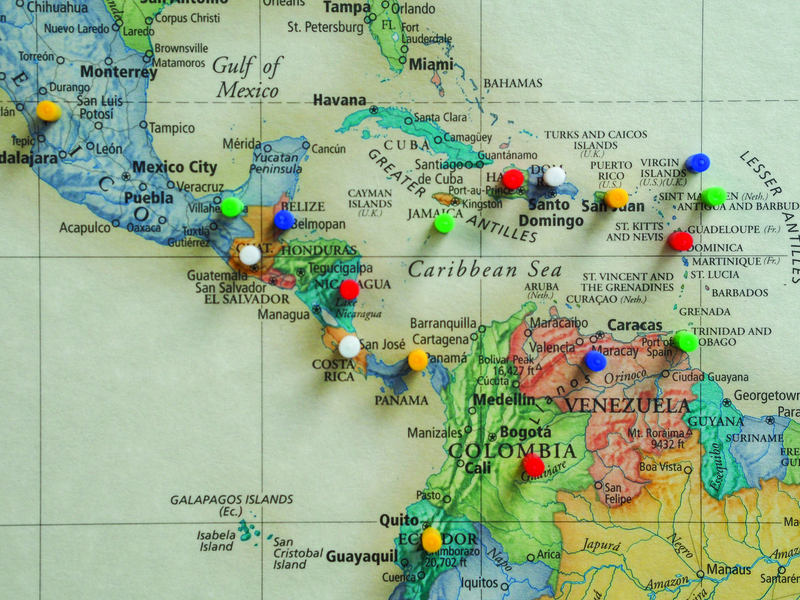 “Our goal is to get God’s word to countries that can’t pay for it. We nickel and dime it, here” said Lynne, whose entire staff, from bookkeeping to marketing, works pro bono. To further offset missionaries’ print costs, Lynne is endeavoring to get Sharing Jesus on the shelves of LifeWay Christian bookstores. Any windfall is helpful, as the need for printing fees continue to pour in. Recently, an indigenous pastor from India requested funds for one million copies of the book to distribute to children. Sharing Jesus with Children Around the World is printed in different layouts, even a very small, pocket-size foldout edition, specifically for missionaries in Muslim strongholds, where distributing the book could mean death for the distributor. “This way, it looks safe and harmless. We have missionaries risking their lives every day to distribute the book. One of the missionaries distributing our books in Indonesia has two members of his staff on the jihad hit list. I refuse to remove my name and contact information from the book. I want Christians to be able to get in touch with me,” said Lynne. She brims with inspiring stories of Burmese women walking three days to attend a women’s Christian conference in Myanmar, the founding of the first Christian literature center in Mindat and life-changing mission trips to Moldova and Honduras. Lynne tracks them all on an impressively populated pin board in their office. Domestically, Lynne has created a ministry called His Shining Stars for children with critical health concerns, after receiving two prayer requests for terminally ill children in the same day via their 24-hour prayer hotline. 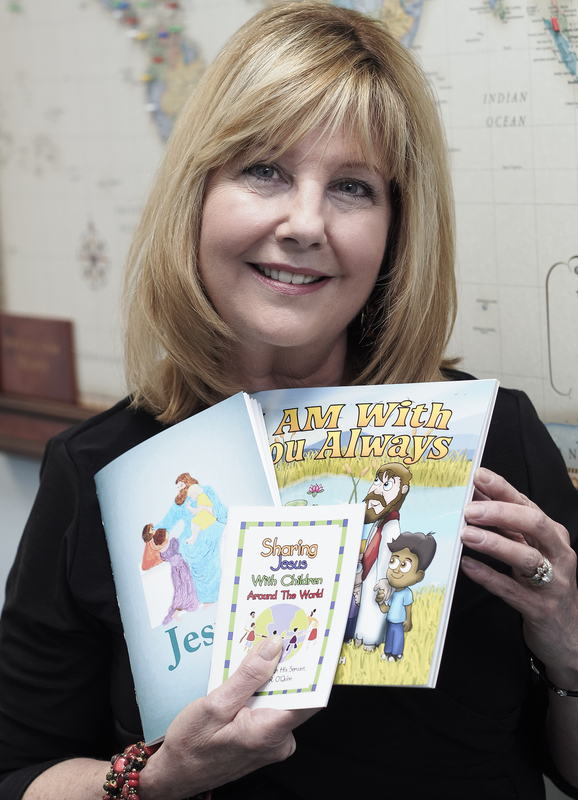 Just hours after receiving the prayer requests, Lynne penned a book, I AM With You Always, to convey God’s love and comfort to children in difficult times. With the book, children in hospitals across the country receive a thoughtful care package of brightly colored scripture cards, bracelets, a stuffed animal and a personalized card from Lynne and her volunteer staff. While Lynne’s mission is reaching millions of people around the world, local Christian listeners can tune into His Little Ones radio show on Sunday afternoons from 3:45 to 4:00 p.m., broadcast on the Dunn Christian station WCKB 780. In addition to her work with His Little Ones, Lynne recently reconnected with a former songwriting partner. Together, they have written a song, “Stand Proud,” which honors servicemen and women, from first responders to military. “We are praying it will be a song to unite America. I feel a stirring in my soul that this will bring glory to Him. After all, this nation was founded on God,” she stressed. 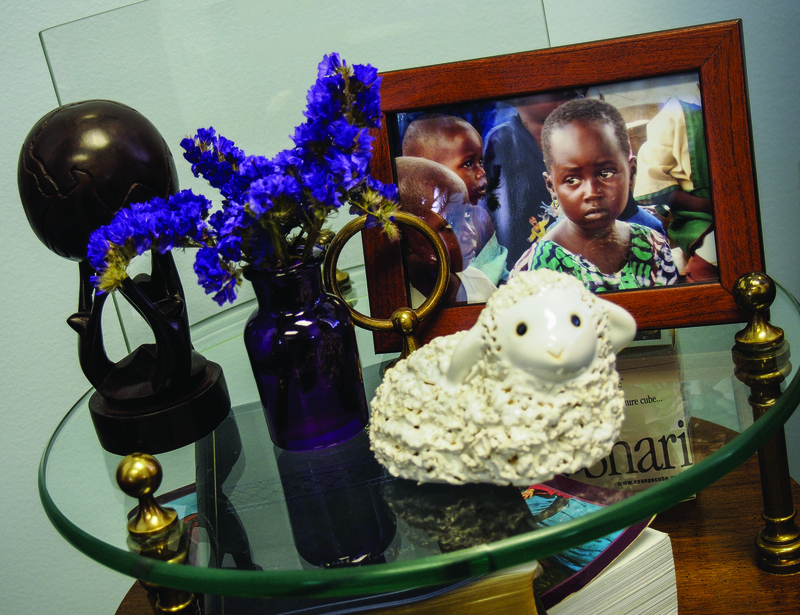 In addition to using their Raeford Road location to mobilize His Little Ones around the world and His Shining Stars in hospitals across America, they use the office to host bible studies, lectures series and church services. Offerings currently include a weekly bible study class for children and teens called Come Talk About It, where children and teens are taught to “go to God” with their problems. His Little Ones Church meets on Sunday afternoons, which Lynne created after families voiced a desire to worship together in an informal, child-friendly setting. 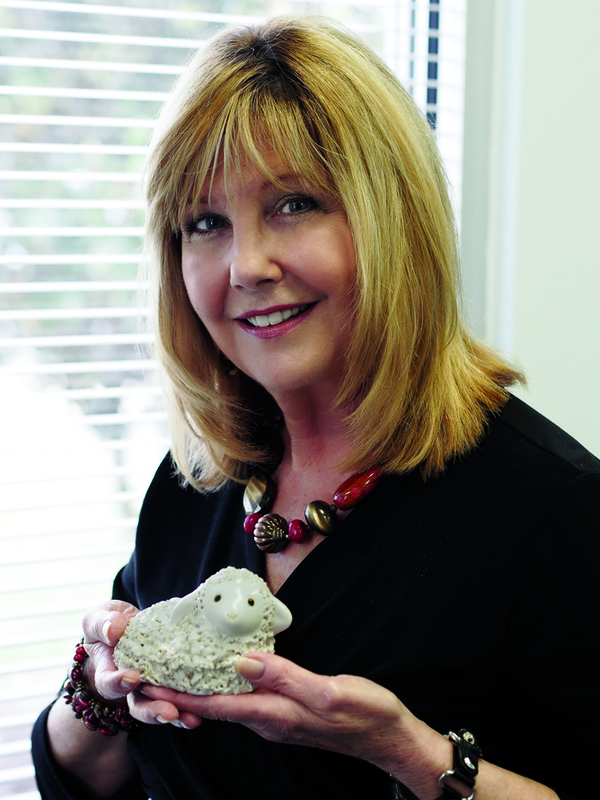 Her daughter, Heather Regan, a psychotherapist at Methodist University, hosts topical studies. Most recently, she taught a class called Full-filled: A course in Spirituality & Food, which was webcast across the country.